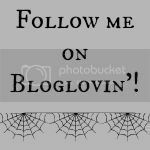 You may have noticed in my updates post that I have acquired some new makeup in the last little while (but what’s new!?). 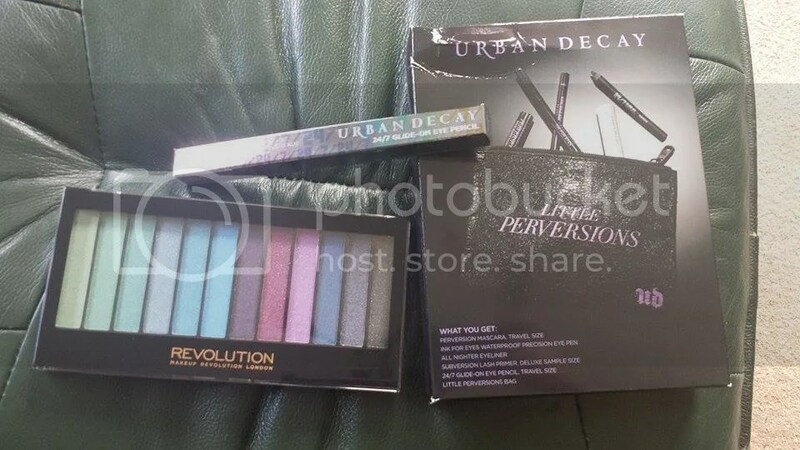 With a payday purchase, I became the proud owner of some more Urban Decay pieces and- something I instantly LOVED- the Makeup Revolution Mermaids Vs Unicorns palette. 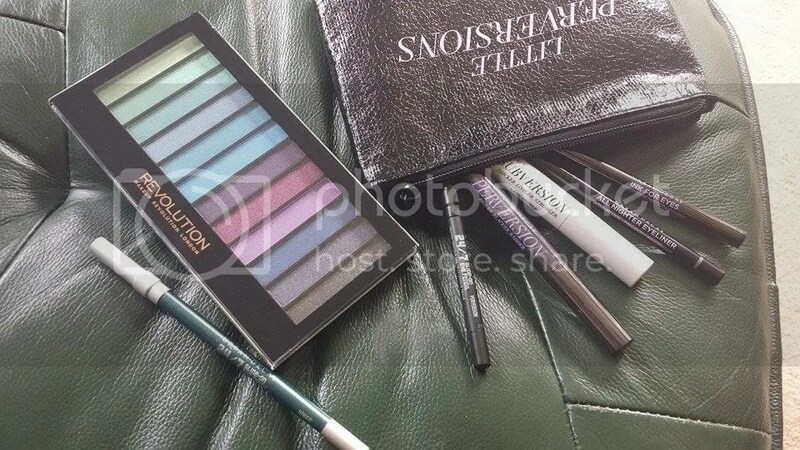 The Urban Decay items I purchased alongside my BEAUTIFUL new palette of gorgeousness were another full size 24/7 pencil- this time in Junkie- and a special Little Perversions set, filled with a selection of travel size eye products and a handy, surprisingly decently sized makeup bag. Little Perversions was on offer in House of Fraser- £20 instead of the usual £30 which, considering what you got inside I thought was a brilliant deal! I was after a new mascara and had wanted to try out the Urban Decay Perversion one so this was a win all round! Here’s another photo- inside the Little Perversions bag I found a mini 24/7 pencil in (surprise surprise) Perversion, a mini tube of both the Perversion mascara and the Subversion mascara primer (I LOVE both of these! 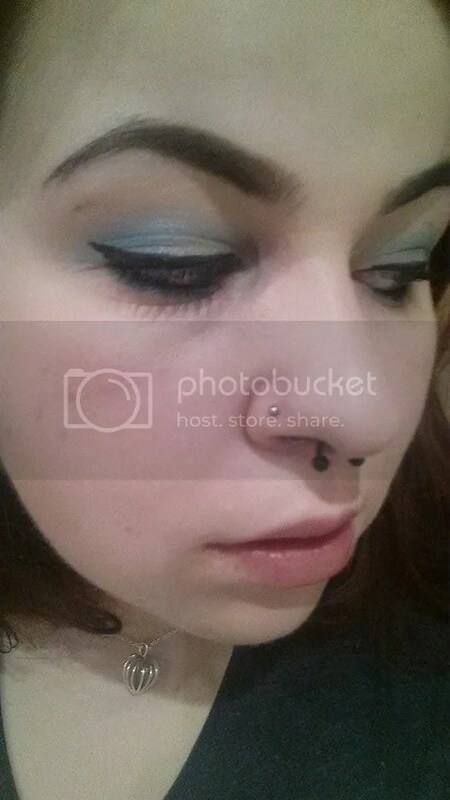 ), an All Nighter Eyeliner stick (again, love!) and my new favourite eyeliner- the Ink for Eyes eyeliner pen. Yes, something has knocked Soap & Glory Supercat off of its top spot! We all know the star of this show, however, is the palette. 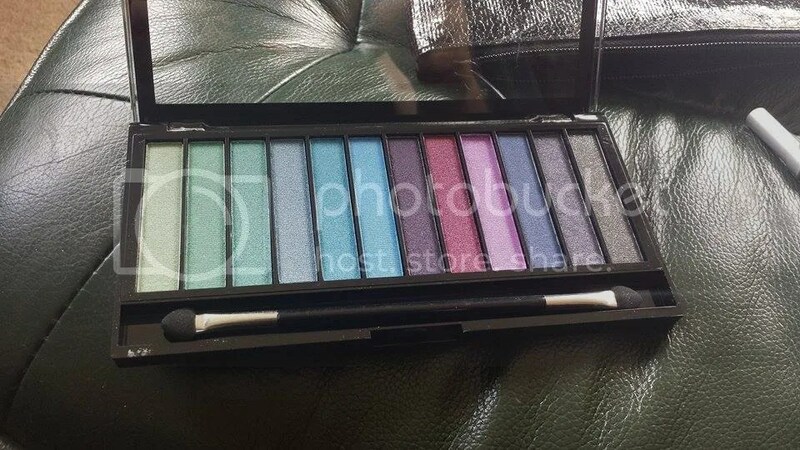 Mermaids Vs Unicorns is a gorgeous palette with 12 pans of bright, beautiful colours. The greens and blues are- obviously- the mermaids side, whilst the pinks and purples are the unicorns. And to be perfectly honest with you, I haven’t yet decided which side is my favourite! 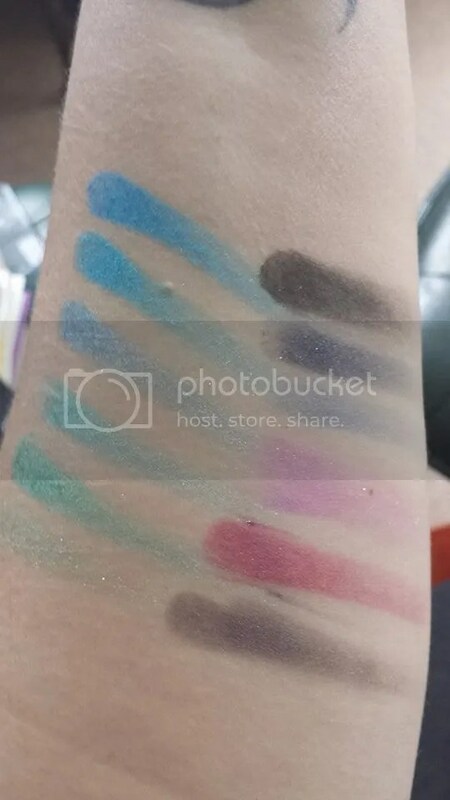 Here’s the palette all swatched on my arm. As you can see, the shadows are all of the quality we have come to expect from Makeup Revolution; pigmented, buttery soft and with minimal fallout. Both mattes and shimmers are present and both perform pretty much as well as each other. Here’s a quick look I put together using my new palette and a number of new Urban Decay products- the mascaras and the Ink for Eyes pen. I used a number of the bluey shades from the Mermaids side of the palette and was seriously impressed with how well they applied and lasted. Here’s a close up! The Ink for Eyes pen is amazing. It gives an even, super black line and because the nib is so thin it’s really easy to use and to get super close to the upper lash line. It also lasts pretty well and I’m sure I’ll be picking up a full size version when this one is all used up! 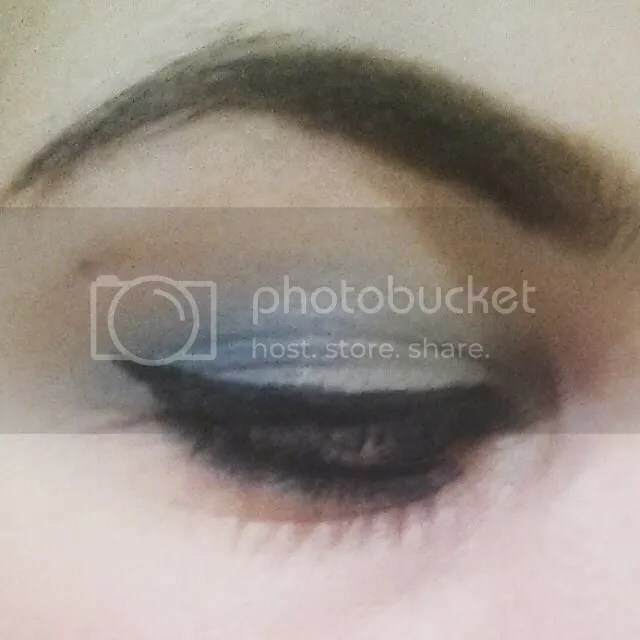 This entry was posted in Beauty, Makeup, Makeup and tagged 24/7 Pencil, Ink for Eyes, Junkie, makeup, Makeup Revolution, Mermaids vs Unicorns, Perversion, Urban Decay. Bookmark the permalink.